This is a very exciting time in the history of our planet! The cost of solar has seen a remarkable decrease in recent years. 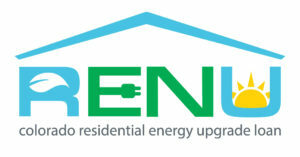 Our company is proud to be a certified installer for the statewide low-interest, zero-downpayment RENU loan program sponsored by the Colorado Energy Office in partnership with Elevations Credit Union. Many of our clients have enjoyed a positive experience with this loan, which is designed to make home energy upgrades easy and affordable by offering low-cost, long-term financing for energy efficiency and renewable energy improvements. Contractors participating in this program are vetted by the Colorado Energy Office for consumer protection, and pre-existing membership with Elevations Credit Union is not required. A combination of outstanding financial incentives makes solar PV a rewarding investment for Colorado home and business owners. First, all renewable energy system purchases qualify for a generous federal tax credit—30% of the amount spent on the solar system. Additionally, commercial entities qualify for an attractive accelerated depreciation schedule. Under federal law, this benefit has been renewed at this level through 2019. It will step down to 26% in 2020 and 22% in 2021. Second, renewable energy systems purchased in the State of Colorado are exempt from state, RTD and SCFD sales taxes. While local and county taxes apply, this remarkable state sales tax exemption saves thousands of dollars on an installation. Third, your grid-tie solar system offsets your electricity costs and provides the benefits of net metering. When the solar system is producing more energy than you’re using—especially during high-production months like July and August—the excess is contributed to the utility grid and it spins your electricity meter backward, giving you retail credit for generating your own electricity and building up your “solar bank.” When you utilize energy in the evening—or during lower-production months like January and February—your meter spins forward, drawing from the utility grid and utilizing your “banked” credit. Because your solar system produces sufficient electricity to meet some or all of your demand, you only pay the utility for the net energy that you use from the grid. Additionally, you will avoid $12,577 in utility costs over 10 years, and $35,109 over 20 years. This estimate is based on a 6% annual escalation in utility rates, although Xcel Energy’s residential rates have increased about 10% per year over the past decade. FOR HOME AND BUSINESS OWNERS installing any type of solar PV, and who otherwise qualify, as described above the federal tax credit is equal to 30% of total purchase expenditure. This is a credit against tax liability, rather than a deduction. If the full benefit of this generous tax credit cannot be realized in the first year, it can be rolled forward to the following tax year. This federal tax credit currently is in place through the 2016 tax year. Additionally, BUSINESS OWNERS are able to benefit from the generous 30% federal tax credit as well as an impressive five-year accelerated depreciation on a solar system purchase, under the Federal Modified Accelerated Cost-Recovery System (MACRS). This additional benefit increases Return on Investment (ROI) calculations for a business investing in a solar installation. For most businesses, this favorable tax structure brings the ROI on a solar system to about 7 years. For some considering an investment in a solar system, there is an eagerness to know the “payback time” on the system. Usually this refers to a calculation predicting the point at which the savings produced by the system counterbalance the initial cost of installation. Making a true payback estimate is more difficult and nuanced than it may seem. Payback calculations depend on a range of factors, including the size of solar system, future electricity rates, property value increases, financial incentives available in your area, and loan interest rates if applicable. As a result, experts’ estimates vary widely. Although one can easily locate a number of “payback calculators” online, a savvy consumer should be warned: most of these calculators do not take into account the increase in energy prices over time. Of course, this oversight leads to fundamentally flawed calculations, as energy prices in the U.S. are on the rise and industry projections indicate this trend will continue. Although fuel costs may decline for utilities—as many utilities shift from coal-fired to natural gas-fired plants over time—the costs of infrastructure changes and pollution controls for aging plants are passed on to electricity consumers—keeping utility rates from declining. The Colorado Energy Office has published a study for home appraisers entitled The Impact of Photovoltaic Systems on Market Value and Marketability. Tailored to the residential home market on the Front Range, this study finds that homes appreciate in value by up to $2,600 per kW when a solar system is installed. 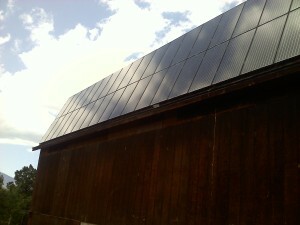 For an average residential 4 kW solar system, this is an appreciation of $10,400 at time of sale. In addition to increasing sale price, a solar system provides a distinctive feature for your property in the real estate market. Buglet Solar was privileged to participate in the research related to this important study–the first of its kind based specifically in our area. 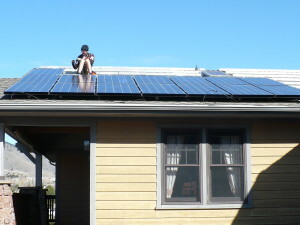 Installing a solar system now protects you against future electricity rate increases. Solar technology is a sound investment with warranties on equipment and installation—including 25 to 30-year guarantees on the solar panels. A solar electric system installed today can be expected to generate clean energy for up to 50 years. Even while you await your “payback,” you’ll be avoiding the cost of paying for electricity. Property value for homes and businesses with solar systems can be expected to increase over time in accordance with rising energy rates. Utilizing financial incentives significantly cuts “payback” time—usually by about half. When a solar system is financed through a Home Equity Line of Credit, construction loan or second mortgage, the energy cost savings immediately exceed the increase in monthly mortgage payments.